I always wanted to buy one more tablet for my little young rambunctious son. It’s something where I can use for him in his education learning. I’ve noticed that there were so many educational apps online that I can buy for him so he could start learning and enjoy at the same time. You might wonder, why not teach him like on the old ways. I already did. It seems that my son is not interested; gets bored easily at the same time won’t listen to me. Therefore, another option is what I should do, I’ve noticed that he starts learning when there’s music along the learning so I believe getting him a nice and durable tablet is a good way. Surfing online helps me a lot to choose what kind of tablet would be good for my son. I don’t want to buy him those expensive tablets since I want to limit his usage into purely education. Glad to know that there are plenty of ways for me to get them inexpensively. 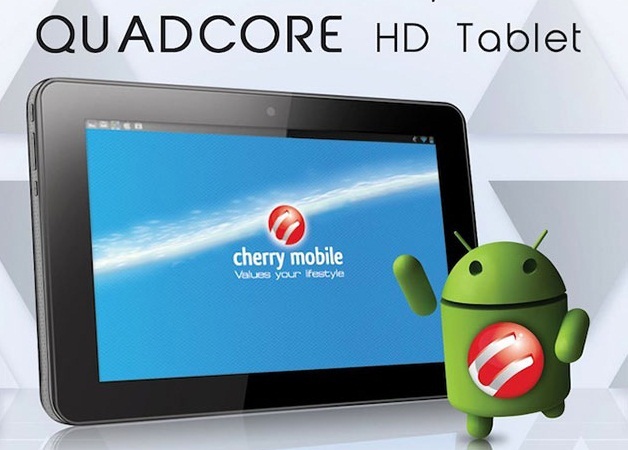 Cherry Mobile Tablet [black] is something I would like to consider on getting for my son. It has the durability as well as the features the tablet I was looking for. This can be purchased in very affordable price for only PHP 3,999.99 at Lazada. Here is your generic PHP 300 Discount Voucher code: LZDbrDgr for A MINIMUM WORTH of P3000 PURCHASE you can use on the website. They have online discounts that would save you 26% more when you buy one. You may also pay as little as Php252.62 per month with BDO installment. If you wish to see more varieties of Cherry Mobile please visit the website. When I was a kid I had some type of 90's computer that only had educational things on it and it was so much fun and helped me to learn so I think it's great to have for kids. I first learned how to use computer in college, never owned any gadget at all when I was young hehehe. Computers (even the hugh mainframes) did not appear until I was in my late 20's!! I was happy to have a record player that played 45's and 78's!! Education came from my parents and books!! It was Amiga computers in my day, lol how things have moved on. Both my boys spend way too much time on their tablets but they are so handy to have around. My daughter uses her tablet a lot in school. As for the apps, I trust her to make good judgment calls on what to upload. My son uses the iPad all the time and he listens to music with it, watches videos of the titanic, his favorite of all... and reads a lot about it. when i was a student, i did not have any gadgets at all, just my pen and paper, books and the library. My kids have their own ipads. they are great. i only download educational apps.